Tara Lynn Masih is editor of The Rose Metal Press Field Guide to Writing Flash Fiction, The Chalk Circle: Intercultural Prizewinning Essays (winner of a Skipping Stones Honor Award; a Benjamin Franklin silver medal award; and a ForeWord Book of the Year Award), and author of Where the Dog Star Never Glows: Stories. She is the founding series editor of The Best Small Fictions. 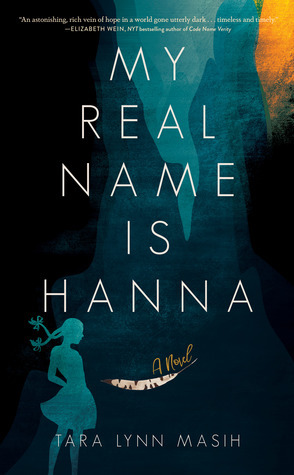 My Real Name Is Hanna, her debut novel for young readers and adults set in WW II Ukraine, received a FLORIDA BOOK AWARD and a SKIPPING STONES HONOR AWARD, appeared on Goodreads' 2018 Ultimate Fall YA Reading List and their Best of the Month Sept. YA list, and will be translated into Slovak. AITL Media selected her for an Inspirational Woman in Literature Award for 2019. Awards for her work include first place in The Ledge Magazines fiction contest, a finalist fiction grant from the Massachusetts Cultural Council, The Lou P. Bunce Creative Writing Award, multiple Pushcart Prize nominations, and Best New American Voices and Best of the Web nominations.